House is no longer standing, a car dealership is now where it once stood. Although there is nothing on the card to definitively identify this house, it was unusual in that the number on the front is #1128. There was only one street in Springfield with such a number in 1910: State Street. 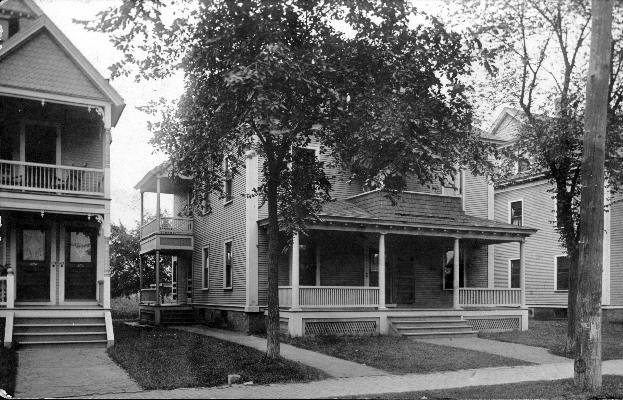 There is a 2-family house (2 doors) to the left of the main house in the photo, and in 1910, there is a 2-family house listed to the left of 1128 State Street. Checking the building departments 1930's photo showed that this house was in fact the one at 1128 State St.